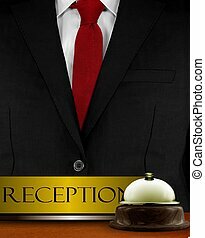 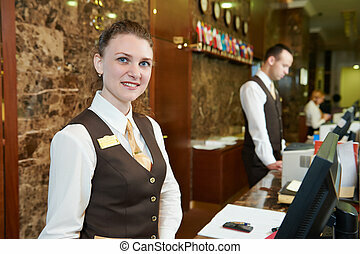 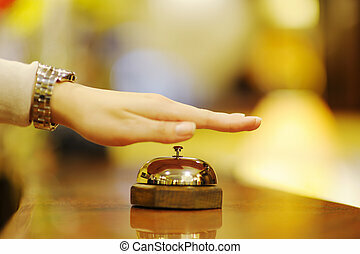 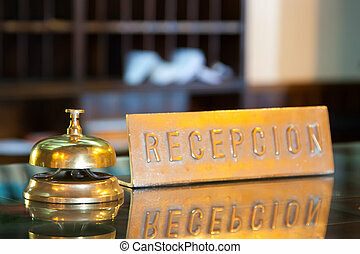 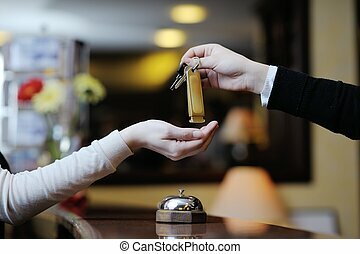 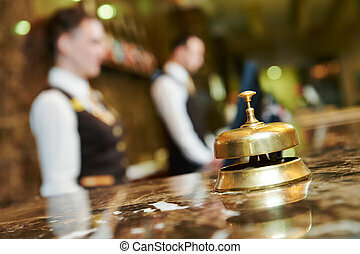 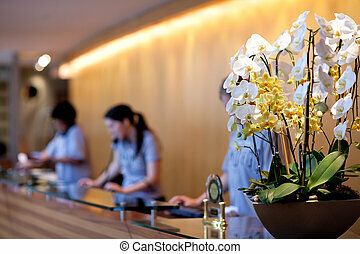 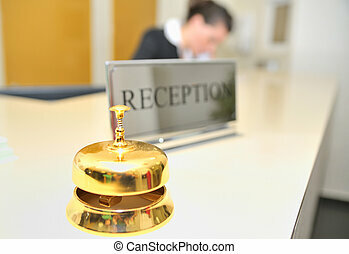 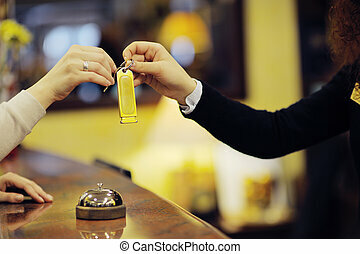 Service bell and cardkeys on hotel reception desk. 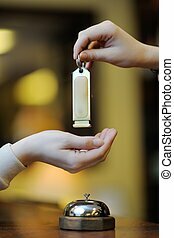 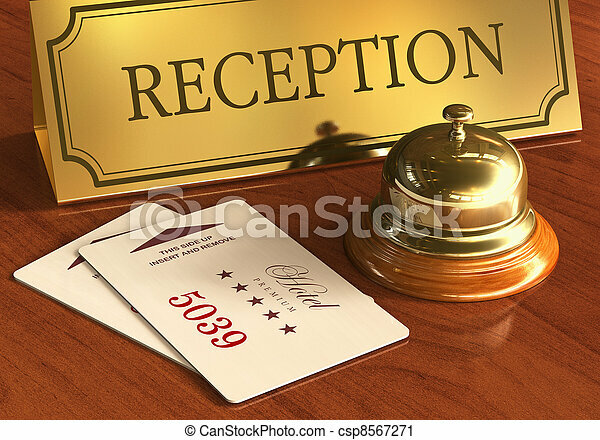 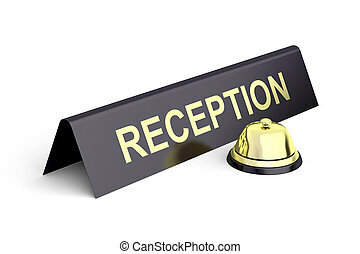 Macro view of golden service bell and room access cardkeys on wooden reception desk in hotel all text labels and numbers are fully abstract. 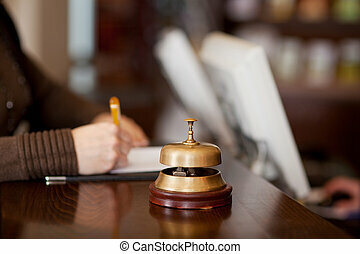 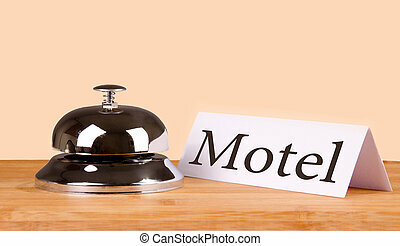 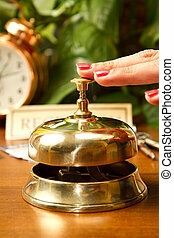 Hotel bell at the table. 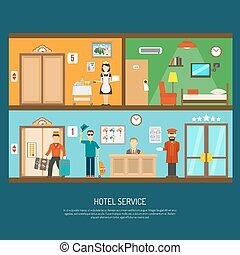 Isolated background.